Selecting a suitable product and deploying it throughout the organization successfully has become a big challenge now, with hundreds of products available in the ever changing market place. In this relatively new field, the focus must therefore be on identifying and sharing best-practice approaches to content management projects. Neruby professionals are experts in managing content management projects and have effectively done so for our numerous clients worldwide. We work with organizations to select the most effective way of deploying content management systems (CMS) on their existing business systems. This includes assisting in identifying business requirements, developing scenarios, or assessing vendors. Content management has become the key strategic requirement post to the implementation of the CMS as a core business system by the organizations. Our Content Management Service and Support is geared to maximize your on-line business. We are dedicated to working closely with customers and partners to provide a complete web services package, ensuring our leading web content management product. Our in-house content management system, NetCMS is one of the most powerful Open Source Content Management Systems on the market. 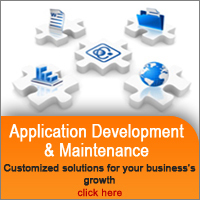 It is used by our clients for everything from simple websites to complex corporate applications. Contact us today and see how you can ease out your content management practices with our netCMS.